The Metal Washable Panel Air Filter is a coarse filter suitable for ventilation and air conditioning systems, where cleanability is required and low efficiency filtration can be accepted. 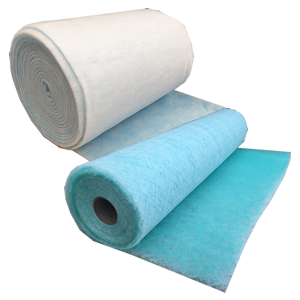 This washable air filter is suitable for use at high air velocities, and can therefore be used when dealing with large air volumes. The Metal Washable Panel Filter is incombustible and is therefore especially suited to applications where fire is a potential hazard. The Air Filter Media is crimped galvanised knitted wire mesh, which is enclosed in either an aluminium or galvanised channel frame. 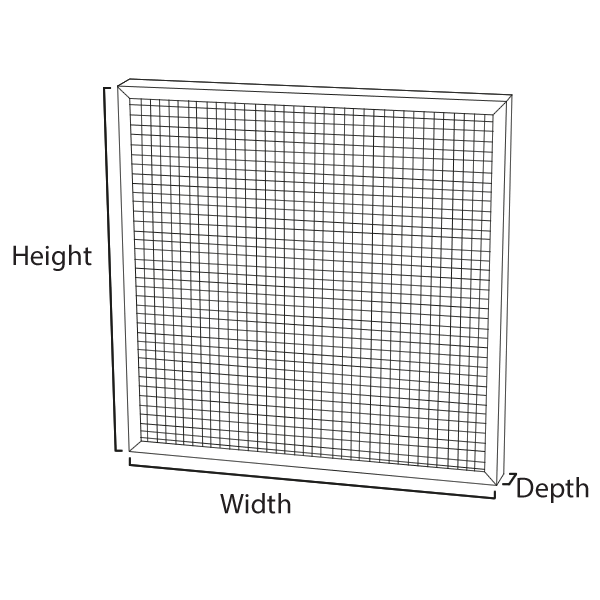 Galvanised retaining meshes are fitted on both sides of this panel filter, and corner gussets provide rigidity. 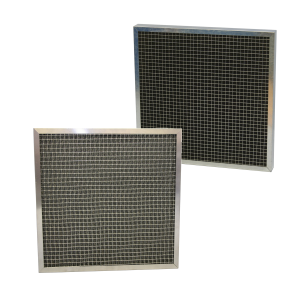 All stainless steel Metal Washable Air Filters are also available, as are panels with galvanised media with stainless steel frames, to offer a long lasting product.